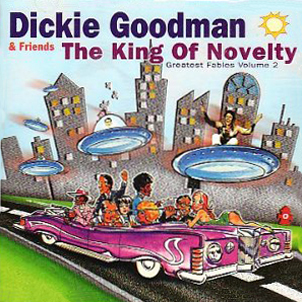 This disc is a follow-up to Dickie Goodman's career retrospective Greatest Fables (1997). However, The King of Novelty Greatest Fables, Vol. 2 dispenses with much of the extraneous material from the first, making room for a number of early rock & roll novelty tracks from other artists as well. For those unfamiliar with Goodman's work, not only did he provide some of the most memorable parodies of the entire pop music genre, he can also lay claim as the creative godfather behind what modern listeners refer to as "sampling." Goodman and his partner, Bill Buchanan, originated the "break-in" record -- which would commence like a typical recording or a newscast and would be interrupted by quotes and quips taken directly from the hooks of concurrently popular songs. His first double-sided hit was "Flying Saucer, Pt. 1" and "Pt. 2." In an idea similar to Orson Welles' ultra-realistic approach to War of the Worlds, the broadcast was interrupted unexpectedly with a news bulletin. On-the-scene location interviews include responses edited directly from a wide variety of hit songs. Goodman died in 1989 from a self-inflicted gunshot wound. 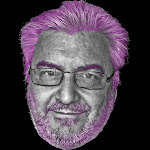 He is survived by his two sons, Jon and Jed, and his daughter Janie. 0 comments on "Dickie Goodman - King Of Novelty, Greatest Fables Vol 2 1998"